Thank you for visiting Lucky to be at Home Pet Care, LLC. We provide loving, friendly and reliable in-home care for you and your family of pets, giving you peace of mind when you are not home. We understand that choosing the right person to care for your pet(s) is an important decision and we take our assignments very seriously. While you are away, “your pets are our pets” and each and every visit will include love, affection and attention. We promise to care for your precious pets as if they were our own. We are insured and bonded for your protection. We are also trained in an 8-hour First Aid & CPR course, sponsored by Pet Tech, the first international training center for dogs and cats. 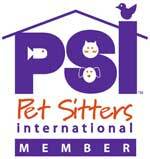 We are members of Pet Sitters International and Pet Sit USA. 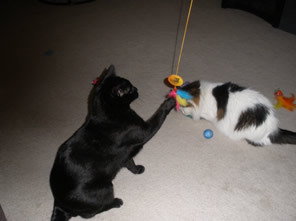 We are committed to excellence in pet sitting and pet care with high quality standards and service. Our standards for pet sitters are the same we would expect for ourselves. Pet sitters must adore animals and be kind, caring, honest, affectionate, loving, reliable and 100% dependable. You can leave home knowing that your pets are in the capable hands of a trusted professional, because our top priority is the well-being of your pets, your home, and your peace of mind! When you are not around…we will keep them safe & sound. When you go out of town and you can’t take them with you, let them stay in the comfortable, familiar surroundings of their own home, where they are safe and secure, which offers a stress-free experience for both you and your pet(s). If you had a choice of staying home or going to a strange, unfamiliar place, you too would want to stay at home. When pets stay at their own home, the only thing that changes is that their owners are not there for a few days. When they go to a kennel, not only are they separated from their owners, but they also may not understand where they are and can be traumatized by the whole experience. With Lucky to be at Home Pet Care, LLC, your pets can now sleep in their own beds, in their own house, eat from their own bowls, play with their own toys, play in their own yard and stay on their own schedule. While you are away, we will also take care of your plants and house, and any other assistance you may need. 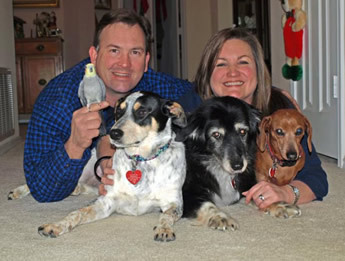 In-Home Pet Care Needs: In-home pet sitting when you are on vacation or out of town. Daily Commuter Services: Daily visits for those who commute to and from work or those with busy schedules. This can include daily dog walking, drop by visits to administer medications/sub-q fluids, or provide a quick potty break. Pet Transportation Service: Safe and reliable transportation for your pet to their required destination. Home Safety Checks We can provide home safety checks for those who don’t have animals, including watering plants/lawns and alternating lights and blinds to give your home a occupied appearance. We serve Kyle, Buda, portions of Driftwood and portions of San Marcos. We look forward to hearing from you and for the opportunity to assist you with your needs. “Contact Us” for a quote today. We currently care for dogs, cats, rabbits, birds, chickens, fish, ferrets, gerbils, hamsters, frogs, horses, cows, goats and most small animals. Before starting Lucky to be at Home Pet Care, LLC, Katherine Murphy-Nowaski (commonly known by her friends as “Murphy”), was a Legal Assistant for over 26 years; however, she wanted to do something different with her life. Because of her years in the legal community, she is dependable, trustworthy, loyal and confidential. Like most people in the animal profession, Murphy has always loved animals and has been a pet owner all her life. Her pets have always been members of the family. 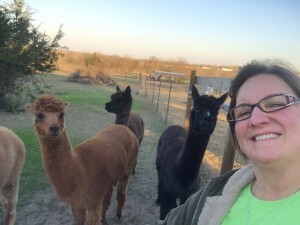 She has provided pet care for her friends & family for years before starting this new venture in 2010. She now offers that same love, care and devotion to you and your family of pets. 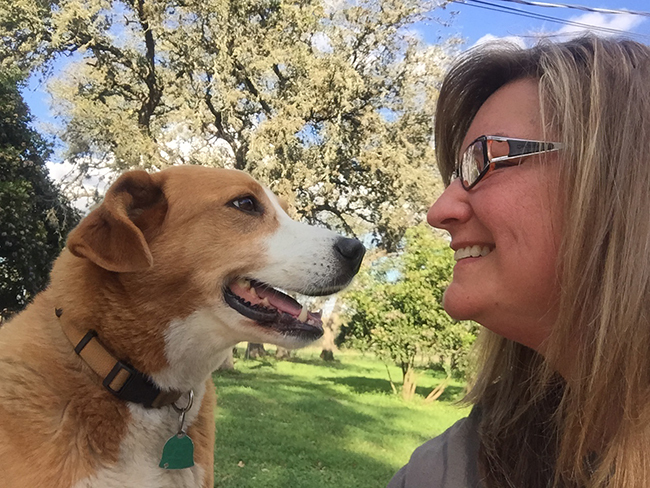 Lucky to be at Home Pet Care, LLC is not just her business, but her life-long passion. Murphy and her husband, Michael, are currently owned by: Sasha (9 yr old Australian Cattle mix), Haunzel (5 yr old German Short-haired Pointer) and an aquarium of fish. 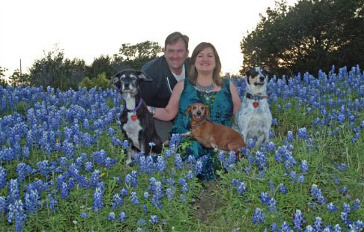 They recently lost their 16 yr. old Buda Wiener Dog Racer, Zina a/k/a The Red Rocket (2000 – 2016). Gone to the Rainbow Bridge, but never forgotten are: Mishka “The Mascot” (Border/Aussie) (1995 – 2012), Kazera (1984 – 2002), Alley (1993 – 2007) and their talking, 20+ yr old cockatiel, Shorty (2011). They understand, first hand, the needs of pet owners when going out of town. It’s hard with one or two animals, but especially challenging when you have a variety of pets. Like most pet owners, Murphy loves and cares for her fur-babies as she would for human children. Since Murphy’s babies have lived so long, she completely understands the needs of geriatric pets as well. Review what some owners are saying on the Testimonials page. To further expand her knowledge of dogs, Murphy is also an Intern/Tutor at The Canine Center for Training & Behavior in Austin. 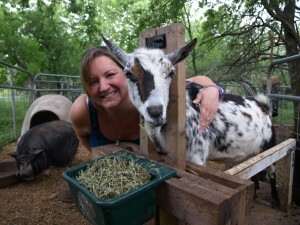 She continues to enhance her knowledge, experience and education of animals of all kinds. Keep an eye on this space for announcements.